Combination ACA Level 3 Sk Coach: training IDW and assessment ICE. Includes group dinner the first night, camping and ACA materials. *ACA membership $40US + ACA SEIC $30US are additional. Reduced rate on accommodation at Rock Island Lodge B&B pre/post trip. ACA Level 1, 2 or 3 Coastal Kayaking Instructor. To participate in this course the ACA requires physical proof that you have passed an ACA L3 assessment. Equivalent BCU or PC awards are accepted but you must be apply for a waiver to the ACA prior to the course. The purpose of this course is to obtain the skills/theory training and experience required to successfully assess as an American Canoe Association (ACA) Coastal Kayaking Instructor. The course includes the two components required for certification including the Instructor Development Workshop (IDW) and the Instructor Certification Evaluation (ICE). During the IDW portion you receive the training necessary to effectively and efficiently teach sea kayaking. This includes classroom sessions on how people learn, the 3Ds teaching method and effective feedback. On water sessions include leadership/group management, risk management and refining paddle strokes and rescues for skill modeling. You’ll receive hands on experience and feedback while doing presentations. During the ICE portion you demonstrate your competency as an instructor through presentations, scenarios and skill modeling. Included are staff presentations on liability, program risk management and instructor judgement to continue your professional development. Successful course participants will achieve the ACA Instructor Level certification from 1 to 3 based on their demonstrated skills. This approach enables more experienced and higher skilled candidates to attain a higher level certification in the workshop. When conditions are present, expect to be out paddling in them. For the more experienced and skilled participants, this provides the opportunity to refine skills including teaching, leadership and group management. For the others, this is about skill development and building confidence in conditions. With a Level 1-3 workshop, participants at all levels are accommodated and the group is managed to allow everyone to refine and build skills. These features ensure that you can be entirely focused on the workshop. 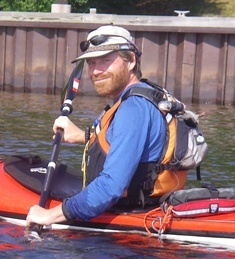 Sam is an ACA Level 5 Advanced Open Water Instructor Trainer Educator, an ACA Adaptive Paddling Equipment Instructor and Wilderness First Responder. He’s been paddling since 1991 and instructing since 1996. He’s instructed over 100 instructor workshops but is primarily a paddler with many Lake Superior trips in addition to Haida Gwaii in BC, Finland/Sweden and an Ireland circumnavigation. Contact us for a more detailed course description.